Christina Ratcliffe – half Vera Lynn, half James Bond – was a forgotten hero of the Second World War until now. A musical about her life – Star of Strait Street – is on at the OSO Arts Centre in Barnes on 13th and 14th November. At the end of November, a new biography – Paul McDonald’s Ladies Of Lascaris – Christina Ratcliffe and the Forgotten Heroes of Malta’s War – will be published. During the war, Ratcliffe came to entertain the troops in the barracks and gun sites of Valletta, Malta. When not singing with her troupe, she worked in the underground RAF operational headquarters beneath the city’s Lascaris Bastion, plotting the defence of the island. 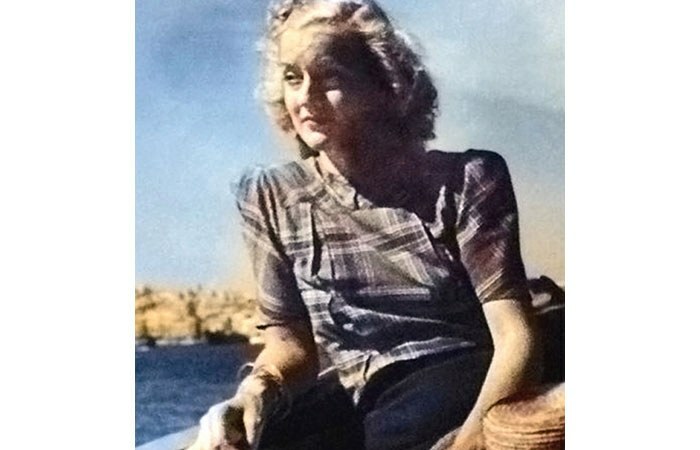 Ratcliffe, decorated for her contributions to the war effort, planned to leave the island in 1940 to return to her fiancé in Tunis. But, while on Malta, she fell in love with Adrian Warburton, an RAF pilot. Warburton was killed in action over Germany on 12th April 1944, but Ratcliffe stayed on the island until her death in the late 1980s. How good that Christina of George Cross Island – as she came to be known when Malta won the George Cross in 1942 – is back in the limelight.